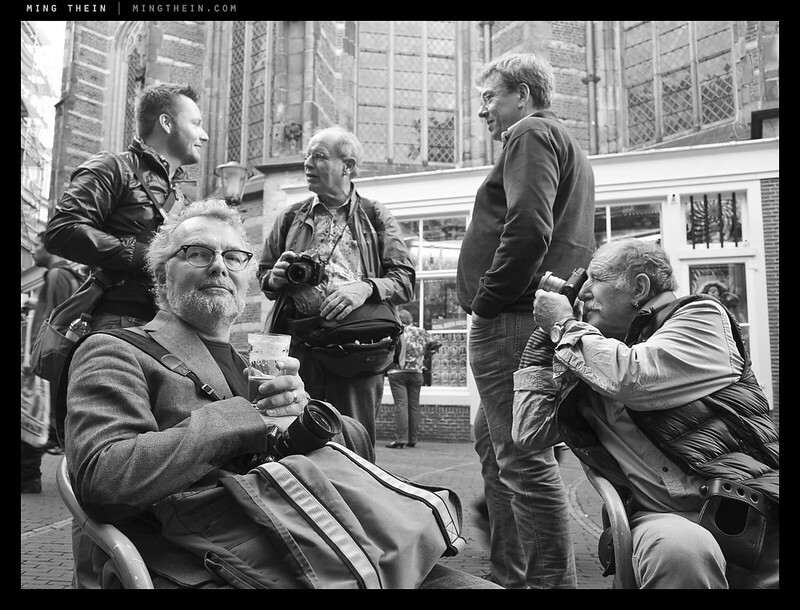 Amsterdam and Prague workshop report – and dates for 2014! 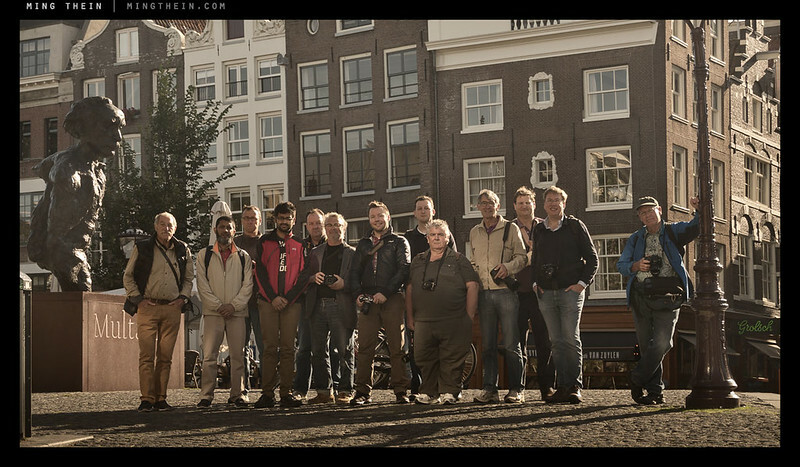 The final two stops on the Making Outstanding Images workshop tour for 2013 were Amsterdam, at the end of September, and Prague, at the beginning of October. The course now lasts four days, and by all accounts, is intensive – I’m trying to make it easier, but there really is quite a bit of knowledge that has to go in 🙂 Read on to see how it went. This is what you call dedication! Firstly, to the participants – 13 for Amsterdam and 13 for Prague – I must say a huge thank you for attending and being excellent students! I know the material is demanding and it’s quite physically tiring because we spend so much time on foot, but if you’re sitting down, you’re not shooting, and if you’re not shooting…you’re not learning, either. There’s also a gallery of images from the teaching portion of the trip here on Flickr. I’ll be adding to this as I gradually finish processing my images – there are still several rolls of film I haven’t gotten around to scanning yet. Though we battled with overcast skies and the attendant lack of shadows/ directional light for the first day, things cleared up, and for the remainder of the three days, we had what I understand is unusually brilliant sunshine – not that any of us complained! We spent a significant amount of time during the first two days (the ‘building block’ exercises) around the three main canals of the city – Keizersgracht, Prinzengracht and Herengracht – as well as the ‘9 Streets’ area. Having completed the basic toolkit dealing with light, subject and composition by the end of day two, we move on to the idea and finding style on the third day; this is accompanied by a shift to a more challenging location – the Jordaan, Old Town Square/ Red Light District and Chinatown. A wide variety of subjects and lighting conditions – from very open to very narrow alleyways and canals – provided plenty of opportunity for the participants to find both subjects and locations that were conducive to a wide variety of different styles, as well as further development of their own. On top of this we added storytelling, narrative and one final assignment: define ‘Amsterdam’ in an image. There were a wide variety of excellent images – some direct, some thought provoking, some subtle. The final day of any workshop is always the toughest: by this point, participants are physically and mentally drained; fortunately the body can take a rest, as we spend it indoors. The first half of the day is always reviewing and critiquing (as a group) images shot during the previous day, and earmarking them for future work. By lunchtime, we head into the Photoshop session with the basics of Bridge, ACR and the few critical tools in PS itself; after lunch is individual practice and coaching. More importantly, at the end of the day, we take various combinations of those initial tools to process for style; it’s really quite similar to how you can make many different things with the same ingredients simply by altering the order and proportions of a recipe. Three days later, I found myself with a new group in Prague: here, the weather was absolutely gorgeous (with the sole exception of about an hour of cloud over lunch during the first day). Higher latitudes have much nicer light than the tropics; skies are bluer and shadows are defined around the clock simply because the sun shines through the atmosphere at an angle and describes an arc rather than a straight passage overhead. Put simply: you can shoot around the clock. We can, and pretty much did; right up to the end of the day, where I brought the group to the place where I’d made one of my favourite images of all time. 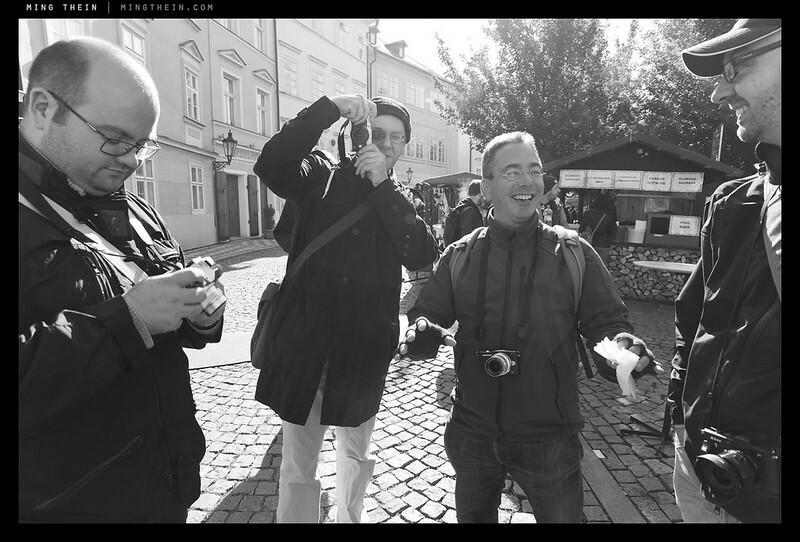 Prague has always been one of my favourite cities – it has the old world European charm, surprisingly affordable prices, excellent service, friendly locals, and a huge amount of photographic material. We began, as always, with the walking and seeing exercise: I point out frames and compositions, and explain what I’m visualizing. All of this of course makes a lot more sense after having completed the basics in day one and two – then a systematic order comes to the madness. The structure of the Prague workshop followed Amsterdam identically; though I have to admit that this group kept me on my toes in a good way. There were a number of names you’ll recognise as regular contributors – Roger, Ian, Erling, Valerji – it promised to be a raucous, fun group, and I wasn’t at all disappointed. Fortunately, neither were they! Those remaining behind after Photoshop – seven of us in total – had a blowout on the last night that will go down as one of the most enjoyable nights I’ve had. I’m reminded constantly that it’s not just about the photography and the teaching – but also the company, the people, and the experience. The group enjoyed themselves so much they’ve challenged me for a follow up next year: we’ll be doing a masterclass in Havana, Cuba; however it will be a closed session as I’ll already be at the maximum number of participants I can handle. *The credit card didn’t fare so well this time; I found a vintage HC4 90 degree prism for my Hasselblad, as well as a replacement eyepiece for my E-M5 – I broke the original one. 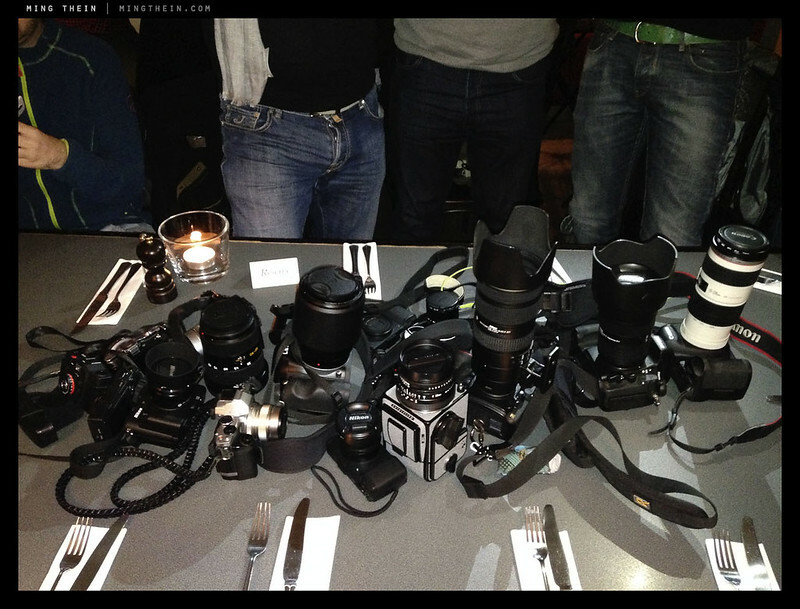 A crummy photo in low light; all of the other ‘proper’ cameras were on the table! Next year will be the last year I’ll be doing Making Outstanding Images syllabus; this is the basic, introductory level course that includes all of the tools you need to create the images you see – not create the same images as your teacher – and begins to touch on exploring style, and complete workflow and processing via Photoshop. The syllabus will follow Prague and Amsterdam, and is explained in more detail here. If you’re not able to create the images you want or you’re having trouble visualizing, this is the course you need. There is nothing more frustrating than spending thousands on equipment without the knowledge to use it properly! From 2015 onwards, this syllabus will be offered on video only – we’ll be adding the next two episodes to that, available from tomorrow. For 2014, the first two confirmed destinations are Melbourne and Sydney during the last two weeks of March 2014, and London, for the second week of July. All workshops will run for four days. If you’re interested, please send me an email – I’m aiming to firm up timing and details and make a formal announcement in around a month or so. There will be two more locations in North America in the second half of the year, as well as possibly also Hong Kong. However, I think it’s time I offered something a little different: 2014 will be the first year I’ll also be teaching masterclasses. Remember the stages of creative evolution of a photographer? The Outstading Images workshops bring you up to Stage II. 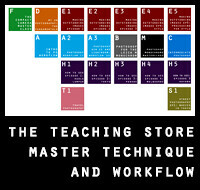 The masterclasses will bring you one step further, to Stage 3a: here, practice, feedback, discussion, philosophy and the finer points of technique become important. Assignments and feedback are individualized, and these classes will be smaller to facilitate that. The first of the classes will be in Kuala Lumpur, during the Thaipusam festival. (If you’re not sure what that is, have a look at this set on flickr.) Simply: it is NOT for the faint-hearted, the beginner/ novice photographer, or those who are not confident shooting by themselves. The class will be limited to five participants, last two days and one night, and fall on 16 & 17 January 2014; the main event peaks at around 3am. We will have a briefing, individual portfolio review and dry run exercises the day before; an assignment overnight, and a detailed edit and critique the day after. It is physically very demanding, hard on equipment, and a noisy, chaotic environment. For those of you looking for an experience, and a taste of both pure Asia and photojournalism, this is the real deal. It is one of those photographic events of a lifetime that I guarantee you will never forget. 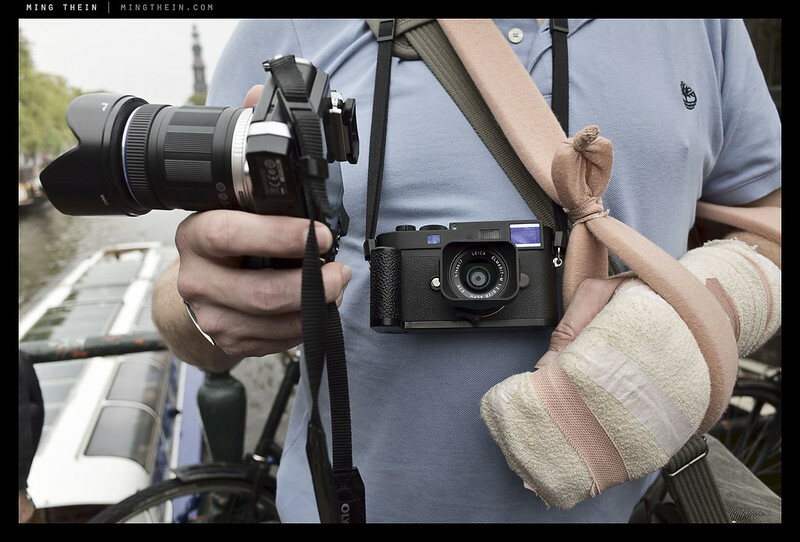 I’ve shot this festival four times – and each time, I come away with something very different. Once again, if you’re interested, please send me an email. 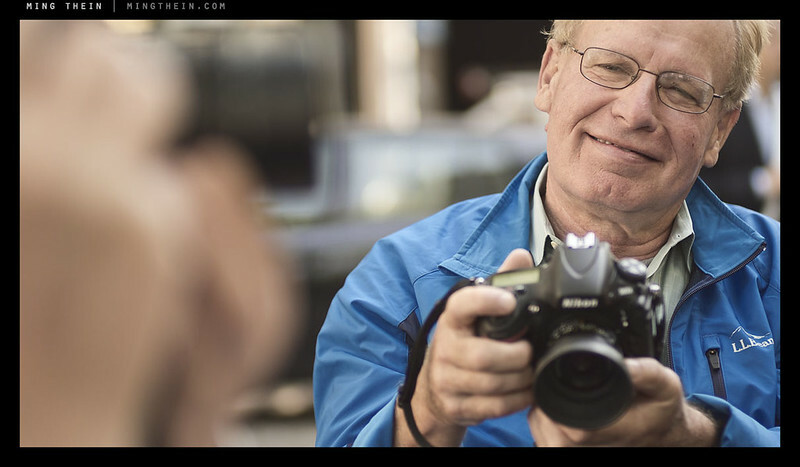 Please also note that tomorrow will be the last day to get How to See and The Compact Camera Masterclass videos at the introductory pricing of $55/35 individually, or $77 for the combined bundle. 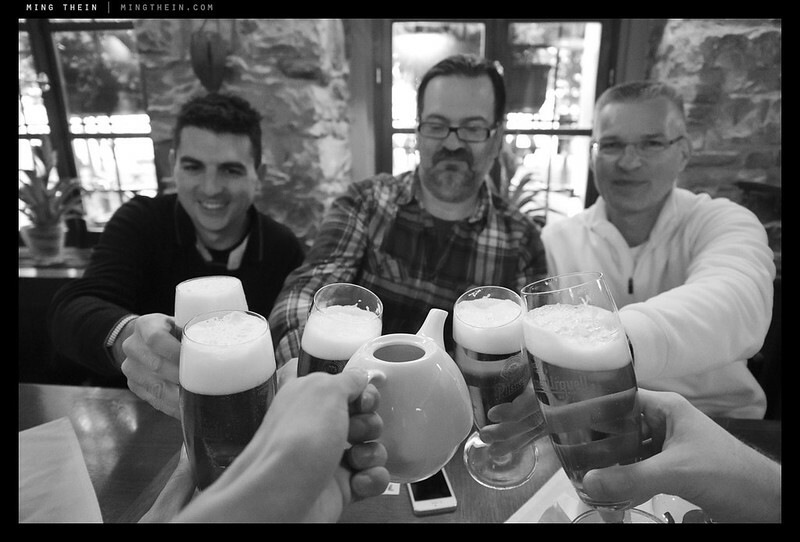 Cheers – join us for the next one! Roger Wojahn (Oct 2013 Prague Workshop): When the discussion started up earlier this year about a workshop in Europe, I knew this would include me. It represented just the sort of life disruptor that could bounce me out of my well-worn path and into a new season of growth, exploration and creativity. I knew there would be a diverse group and I was fearful that I would become so consumed with my own negative internal dialogue that it would effect my ability to just let go and truly learn. In one way, I was grateful for those fears because they got me into practicing on a daily basis so I could at least bring my best self to the table. But those fears were much ado about nothing. The workshop, the learning, the process and the experience of each of you transformed what could have been a series of technical lectures over several days into something that was valuable beyond measure. I was able to show up as I am, not trying to be any better or worse, and just surrender to the process of being with all of you under Ming’s tutelage. I can’t tell you how much I appreciate every one of you and your ability to live out of your own uniqueness. What an incredible group and experience. Ming started out the initial session talking about how he was going to help us see differently and teach us about awareness. “Start by finding interesting light”, he said. I was so excited in those first few moments when Ming, marching out in front of us, began showing us the extensive reflections in the cars and on the buildings. This was something that I’d somehow missed in my life and I was truly amazed. But, the more I think about it, the more I understand that there is a reflection of life and of us too, in every shot we make. Photography is multi-dimensional. Life is a co-creation between each of us and the unfolding moment. As we engage that present moment, consciously see it, accept it, and engage it in creative participation, we are learning something about ourselves too. The same holds true for our personal interactions and relationships with each other. We see in one another, some aspect of ourselves. And if these reflections we see are a mirror of us too, then we are all becoming more aware of our oneness and being elevated to our highest and best selves. 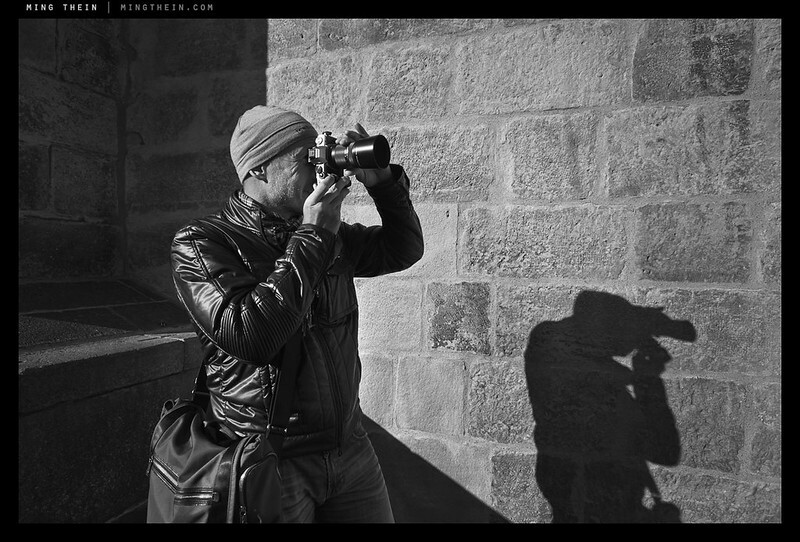 The practice of photography is not so different than the practice of yoga. Each practice uses consciousness of the present moment to bring us to a relationship with life and with ourselves. As our awareness increases, so does our consciousness. If our focus is on the camera and simply a scene in front of us, perhaps our awareness is mostly limited and we live out of our unconscious. But if we zoom out a few clicks, and actually start to become conscious observers of ourselves as we are choosing, shaping and making our photos, then we are increasing our consciousness and making what is unconscious, conscious. Being not only the photographer but also the observer of ourselves in the very act of our creative process, seems to be very much in keeping with the “context” that Ming keeps explaining to us. We start out isolating subjects within a narrow field of view because are beginners and it make the learning easier. But I suppose as we develop our ability to see, we go ever wider and there is an ever greater context for our world view and ourselves in it. This may be more difficult but must ultimately makes life richer. And so it seems to be less about the photos and more about the practice itself! I’ve been trying to absorb the whole experience but it’s going to take awhile. After those last several nights in Prague with little sleep, I slept like a rock here in Nerja, Spain last night. All night I dreamt of framing things I’d never seen before. But there wasn’t really much a “me” there at all. I was just floating and seeing things and most of the principles we learned were just there and obvious and it was as if I had the unlimited ability to simply play with light, seeing reflections in reflections and balance wherever I looked. It was as though my view-finder could look through portals into other worlds. Everything just made sense, was known and was accessible to me at any time. That dream makes me trust that some seeds have been planted deeply within me. My intention is to water them so they can become real and I can become lucid in my waking dream! I can’t wait to see you all in Havana. I guess in the meantime, we’ll see you on FB and / or on Flickr as part of Ming’s reader’s portfolio. Thank you for the incredible experience! I hope this finds you safely home, happy and in the flow of life. May your practice be everything you hope it to be. There are even more testimonials here from previous (Singapore, NYC, San Francisco, Tokyo, Kuala Lumpur, Hong Kong) workshops. another vote for Chicago please! I’m hoping that the Hong Kong one comes to fruition. If it does happen, I hope I will be able to apply early enough to get a resveration. Message received, many thanks Ming! Tally 1 vote for Chicago as you plan your ’14 U.S. trip. Great! I’ll put it down as a firm ‘maybe’… 😉 Later in the year works. 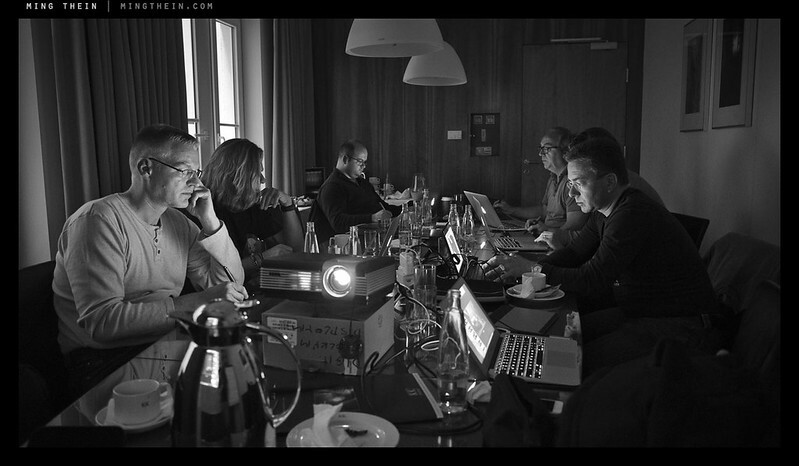 Curious if any of the attendees are happy to share their online albums to see the shots made during the workshop? I’m surprised, Ming, that you don’t seem to use any adjustment software (e.g; ‘Viewpoint’) to compress the stretched edges of the wide-angle photos – e.g; the 1st one above and the 6th, under the bridge. ..Or rather, to compress the stretched faces at the edges of the w/a photos. Are you happy to have those enormously stretched heads, and doesn’t it bother you? No, it doesn’t bother me. Not enough to bother with software correction. Many thank. Weird – but many thanks. Great to hear your success in Europe! I cannot wait tomorrow, the opening of your additional workshop video series. Logistics, personal safety/ security and the fact that it’s a chaotic location make shooting there individually challenging enough; let alone leading a group. Any chances of a visit or workshop in neighboring Bangkok, Ming? Glad we now have your videos until that day (hopefully) arrives! Just a few comments on the video on fundamentals: the first hour is too much talk in your static studio without any visual illustration to accompany your words, some images to go along your explanations would immensely help in making it more dynamic; the rest of the video (and the consequent ones) are much more enjoyable with plenty of examples and, specially, seeing you in action! I definitely would like to second Gonzalo. Bangkok is definitely in need of a good photographic teacher! Meanwhile, I’m really enjoying your videos. I’ll certainly consider it. My issue with Bangkok is that there aren’t that many good street shooting locations; I found the city quite pedestrian-unfriendly when I was there. It might have to be out of town, I think. Looks wonderful, can’t wait to get back to Malaysia and attend one of your workshops in Malaysia….btw, I can’t help but notice a Nikon 1 V1…. There were two V1s actually. 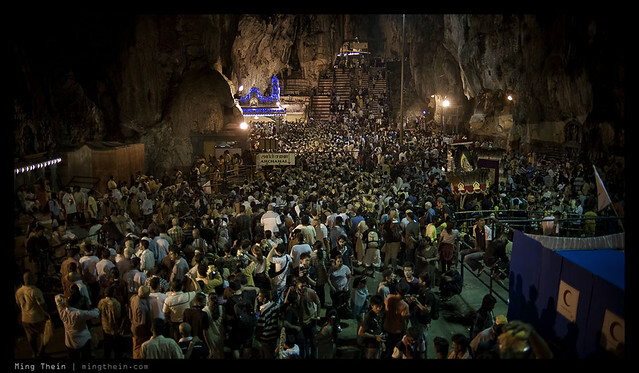 Not planning any in KL except the Thaipusam master class next year. Our local market values gear over education, sadly. Only in Malaysia where learning is overrated….